Several prominent Democrats have made statements over the past two years saying they would open to obtaining funding for a wall along the U.S. southern border in exchange for DACA amnesty. 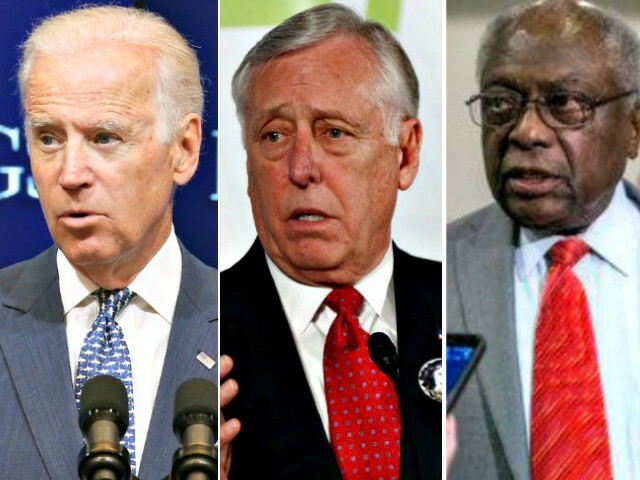 The Democrats— including former Vice President Joe Biden, House Majority Leader Steny Hoyer (D-MD), and House Majority Whip James Clyburn (D-SC)— all made statements signaling that they would support a border wall if it meant that President Donald Trump would support the Deferred Action for Childhood Arrivals (DACA) program. The DACA program, which began under the Obama administration, grants protections for illegal aliens who came to the U.S. as children. “If you had a wall that provided security that wasn’t an absolute waste of money — meaning national security and the technical means to protect it, and all these kids had a path to citizenship — I’d be inclined to do that,” Biden, 75, told Chris Cuomo on CNN. “You’d give Trump the political victory in order to get the deal done?” Cuomo asked.